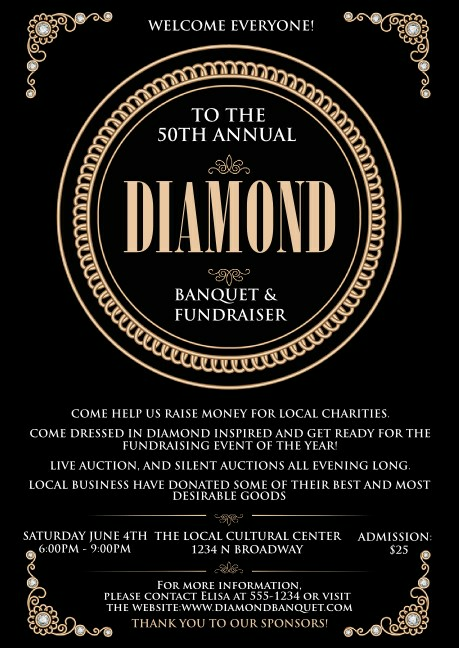 Bring out the best for your benefit when you advertise with the formal Diamonds Black Club Flyer in advance. Gold and diamonds adorn the corners of the dark background, with a striking gold ring in the middle. These small flyers pack in a lot of information with twenty-two available lines on the template. Promote elegance and quality with the right club flyer from TicketPrinting.com.